VAN HORNE – As many farmers are forced to expand their operations to stay in business, Ann and Eric Franzenburg intentionally found ways to keep their farm small. 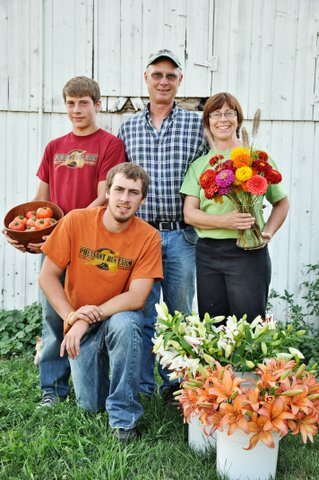 The couple, along with their three adult children, operate Pheasant Run Farm near Van Horne, Iowa, which supplies fresh cut flowers, produce and herbs to local markets in eastern and central Iowa. Those market outlets include actual farmers markets, along with grocery stores, restaurants, floral shops and wholesalers. Diversification in both their products and their buyers has been key to the success of the farm, where the produce and medicinal herbs are certified organic. Lilies, snapdragons, zinnias and dahlias are among the many varieties of flowers grown at Pheasant Run, along with niche products, such as miniature “lunchbox” peppers, ginger, and Sungold tomatoes. All are raised inside a series of heated greenhouses where seedlings are planted as early as February. Pheasant Run also grows traditional row crops of corn and soybeans, as well as culinary and medicinal herbs, including milk thistle seed, which is sold on the wholesale market. Ann says the goal is eventually to have even the conventional crops certified organic, a process that can be time-consuming – extensive documentation is required – and expensive, though those costs can be offset through being able to sell the organic products at a premium price. While the business aspect is one reason to go organic, being good stewards of the land is the underlying philosophy of the Franzenburgs. That generation could be at least one of the couple’s children. Their son, Calvin, had been working as an electrician, but decided to farm with his parents. Their daughter, Ellen, helps at the farmers markets, and youngest child, Grant, just graduated from high school and will be attending Iowa State University in food science. 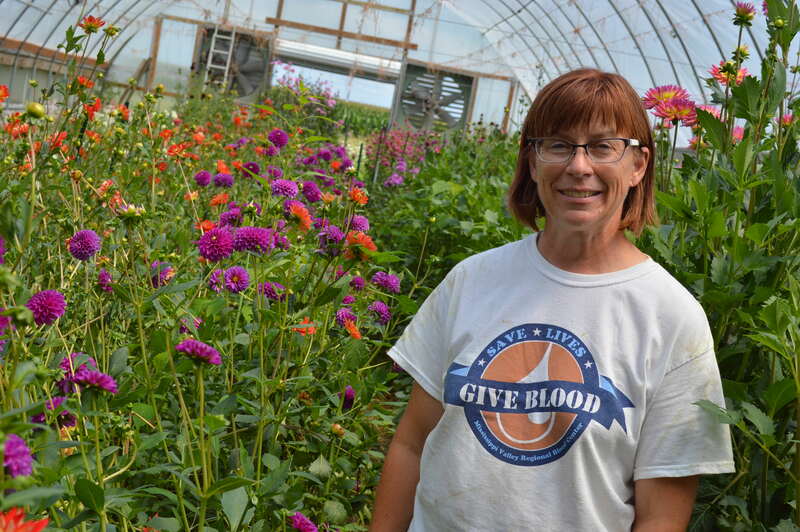 Both she and her husband are full-time farmers, but that wasn’t always the case. Ann, who grew up on a farm in northwest Iowa, worked as an English and French teacher for years before deciding to put all of her efforts into farming almost 10 years ago, after attending a growers expo that included a daylong series on specialty cut flowers. The first growing season for the flowers was in 2008, the same year an epic flood wiped out the popular Downtown Farmers Market in Cedar Rapids, one of the markets where Pheasant Run sells cut flowers by the stem, but the farm initially began in 1991 when the couple returned to Eric’s family farm, a traditional operation with corn, soybeans and hogs. They quickly learned that additional land was difficult to secure because rent prices were too high and competition for acres was fierce. “Rather than go into debt to get larger, we decided to investigate alternative crops that might yield more dollars per acre,” they note on their website: www.pheasantrunfarmiowa.com. Eric, with a background in agricultural research, was approached about writing a grant proposal and research for a Sustainable Agriculture Research & Education study on cultural practices for culinary herbs in Iowa. 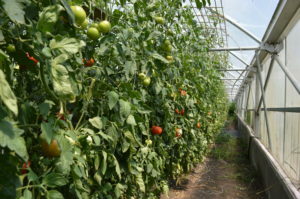 Before growing flowers, the couple primarily raised tomatoes in a greenhouse, and Ann attributes the subsequent growth of their specialty crops – all of their produce is grown in the greenhouses – to her husband. 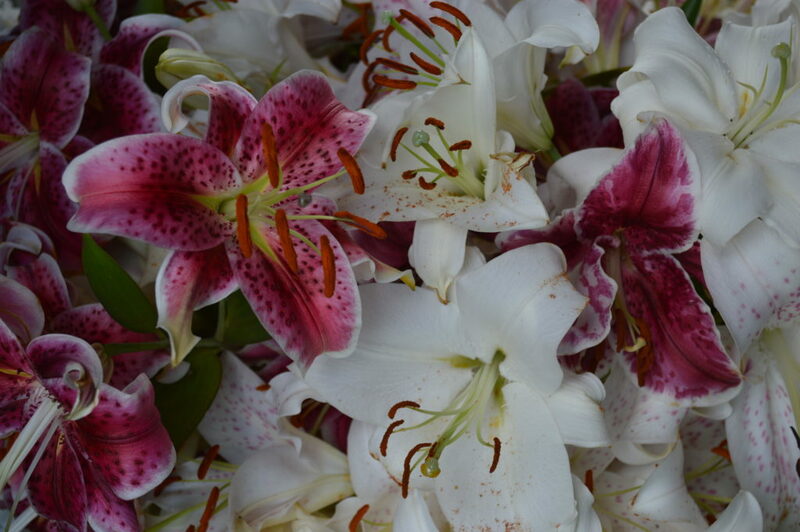 The greenhouses are populated a majority of the year with colorful flowers, including Ann’s favorite dahlias, ginger plants, English greenhouse cucumbers, sunflowers, and towering tomato plants that bear fruit beginning in June, another plus when it comes to selling their produce. 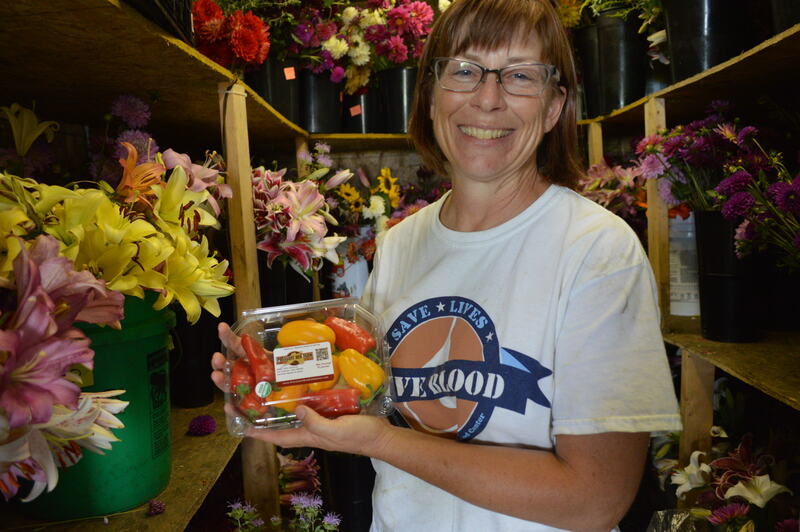 Ann credits New Pioneer Food Co-op with providing fair prices for their lunchbox peppers, for which Pheasant Run is the co-op’s primary grower. 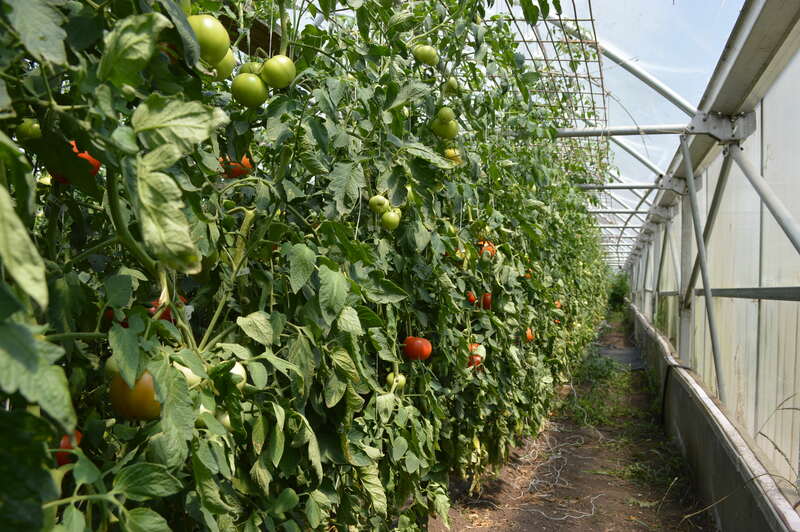 In addition to the peppers, the farm is a supplier of Sungold tomatoes and ginger to the co-op. Their milk thistle seed goes to the Eclectic Institute in Portland, Ore., where it is processed and returns to New Pi stores in Iowa as supplements under the Eclectic Institute label. 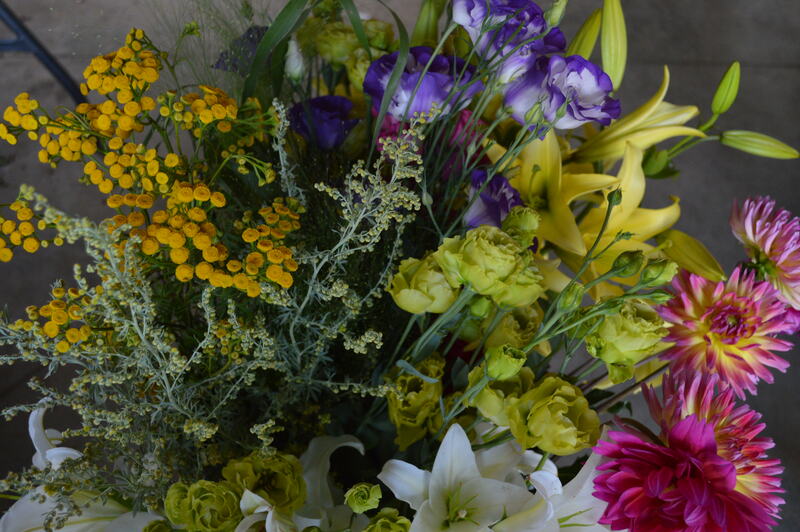 The majority of Pheasant Run’s flowers are sold at farmers markets, including the Downtown Farmers Market in Cedar Rapids and the Iowa City Farmers Market, but florists also buy direct from the farm and Ann supplies and designs flowers for weddings and special events. Teresa Hermsen, owner of Timber Gate Gardens in Belle Plaine, stopped by the farm recently to pick up an order of fragrant lilies, and an assortment of other flowers, including more unusual varieties such as artemisia and feathery grasses.